The Prince William Chamber of Commerce chose Offix as the Business of the Year (16 – 34 employees). Pictures from the event can be found at www.facebook.com/offix. Canon USA is the only imaging solutions provider that offers training courses and certifications relevant to the business of delivering service and support for the dynamic market of imaging products. 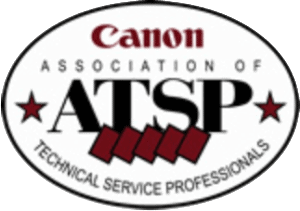 Each year Canon recognizes dealerships that have at least 75% of their support professionals certified with current ATSP credentials. Offix is proud to have 100% of its technicians and engineers ATSP Certified. This award is a symbol of meeting Sharp’s highest standards within our authorized service network. As a customer of a Sharp Platinum Level Service Provider you receive professional, reliable service and the highest performance for your Sharp multifunction copiers. Awarded to a select group of dealers for their level of commitment to Sharp Imaging and Information Company of America. 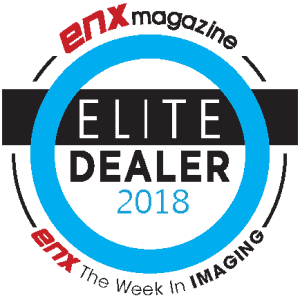 Offix is proud to have been named as one of the country’s Elite Dealers by OfficeDealer magazine, The Week in Imaging magazine and ENX magazine. The award is presented annually by a magazine to top office equipment, products, and furniture dealers in the U.S. Offix was also awarded every year since 2007.